Normally, if you have a daughter and she going to fifteen years old, then her parents will hold a quinceanera party to celebrity her sweet fifteen. The tradition is have 15 boys and 14 girls. The quinceanera dress is very important. In the traditional way, the girls wear a big, huge, puffy dress. There are so many color to choose. The white, blue, pink, yellow color quinceanera dresses are very popular. Nowadays, colorful quinceanera dresses are especially very popular by girls. 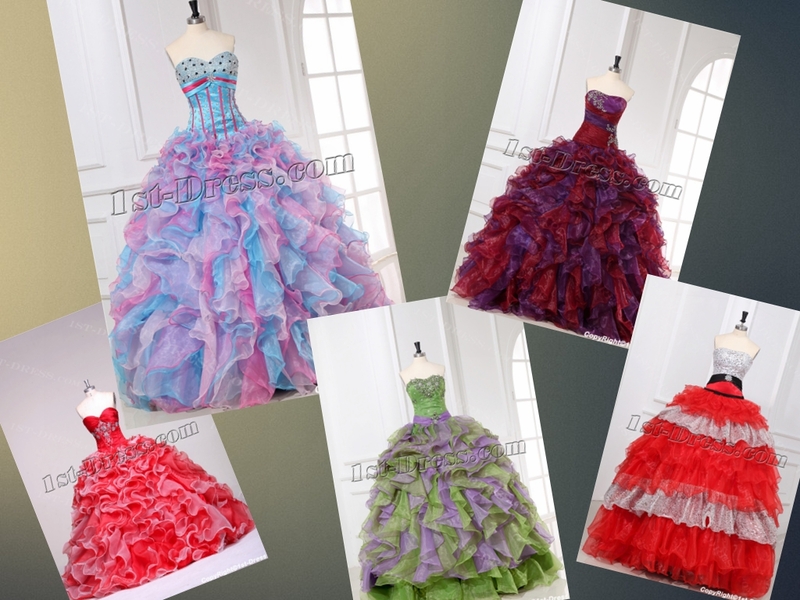 Today I want introduce several popular colorful quinceanera dresses. These dresses have several same comment. 1. they are in the multi colors. 2. they are have strapless neckline. 3. they have puffy skirt. Welcome to choose more colorful quinceanera dresses at http://www.1st-dress.com. This entry was posted in Quinceanera Dresses and tagged 1st-dress.com quinceanera gown, colorful quinceanera dress, Quinceanera Dresses on August 10, 2015 by yczhj2007.